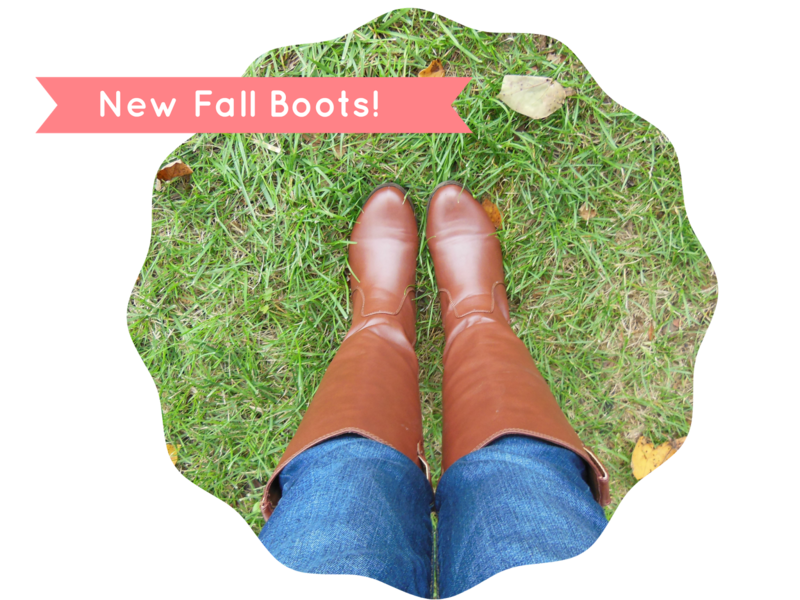 For the past two winter & fall seasons, I wore my favorite pair of quilted forever 21 boots. Unfortunately, the heel broke, so I had to go hunting for some new ones. Considering that I only paid 24.99 for them, I thought that was a pretty good deal! I was so bummed out that they broke (more so because I really loved them), but seeing as they lasted that long, I figured I'd start at Forever21 again. 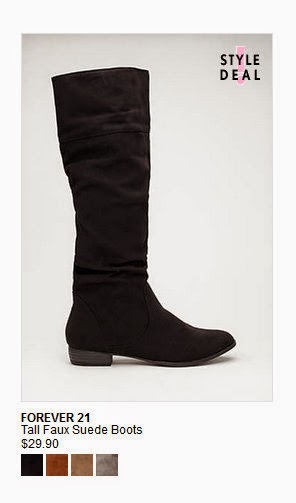 These are the exact pair I purchased. They are available in black and chestnut, I personally love the chestnut color. They're easy to slide on (they have the little grips on top. ), and look great with skinny jeans. Hopefully these last as long (if not longer) than my old pair. 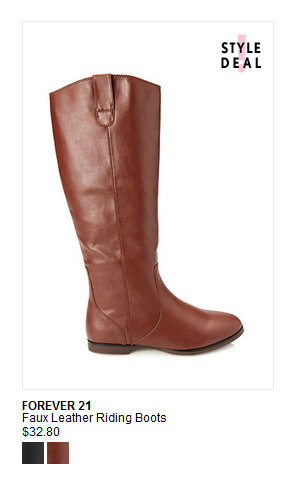 But for $30 (and wearing these quite frequently), I think its a pretty good bargain. What style are you wearing this season?